On average, Americans throw away 20 pounds of food waste each month. That amounts to about $2,275 per year for a family of four, according to the USDA. Bill and I are committed to buying and eating fresh, high quality food. We know it’s money well spent because our health is very important to us. We’d rather pay the farmer now than the doctor later! We also want to make sure we are getting the biggest bang for our buck and want our food to last as long as possible. Put a paper towel on top of your salad greens to absorb moisture, so your greens will stay fresh all week! 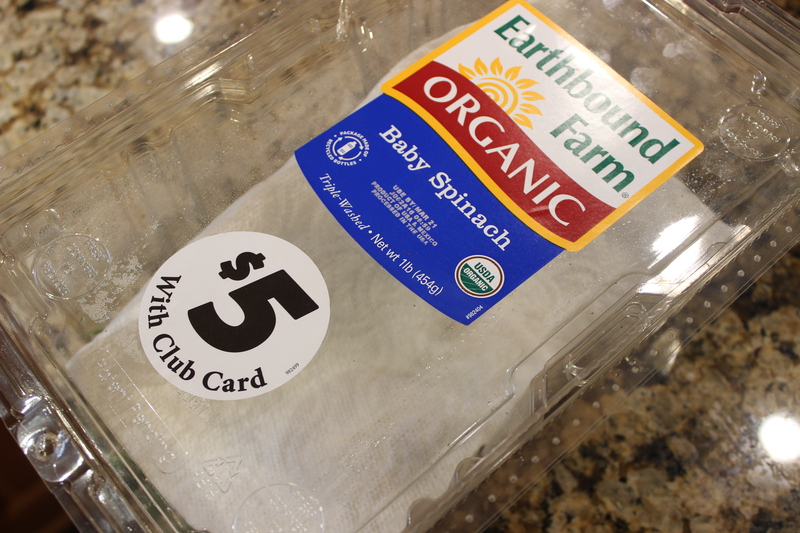 Nothing is worse than stinky, slimy salad greens, especially when you buy a one pound carton of them like we tend to and want it to last for the week. A trick that we use that keeps our greens fresh for the whole week is to put a dry paper towel on top of the greens as soon as we open the container. The paper towel helps the greens stay fresh longer because it absorbs the moisture that naturally occurs in the container. Annoyed by the layer of oil on top of your peanut or nut butter? Turn that jar upside down! 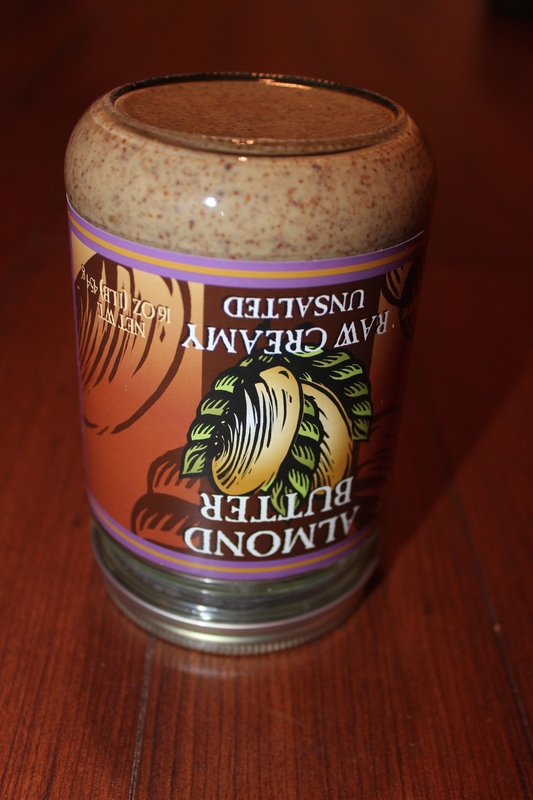 You’ve made the switch to “natural” peanut and nut butters and moved away from the processed, sugary versions – great! You may discover that a layer of oil forms on top of the peanut or nut butter when you open the jar and that mixing it in can be a real pain and result in oil being spilled all over the jar, your hands and your kitchen counter, making for quite a mess. Other times, you mix in the oil but end up with a dry mass of nut butter at the bottom of the jar that the oil didn’t quite reach. Bummer. Here’s the trick to make sure that never happens again! 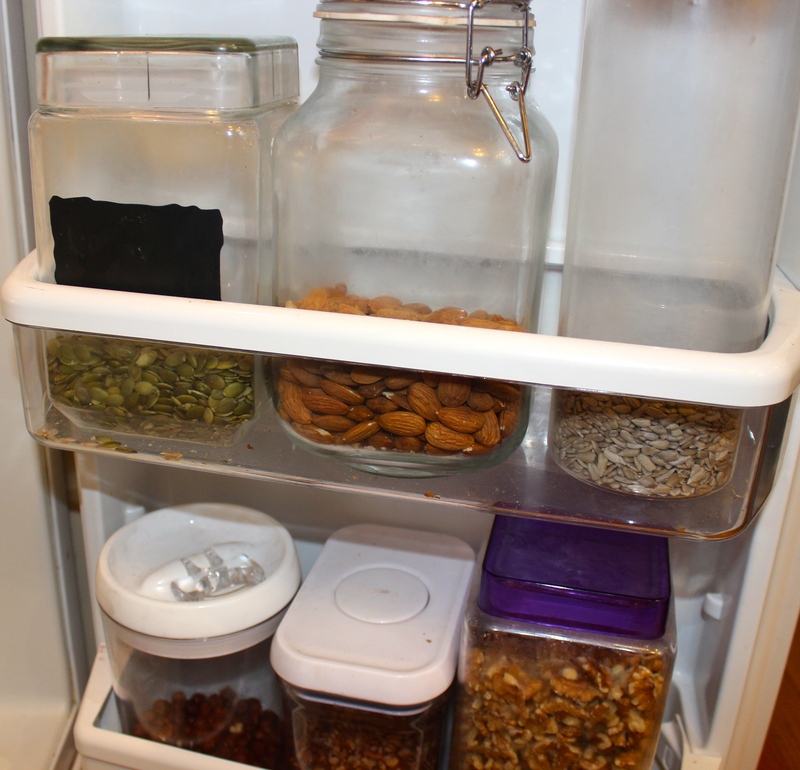 When you get home, store the jar upside down in your pantry. When you’re ready to open it, flip it right-side up, give it a brief stir and then refrigerate. You’ll be happy to see that the oil has mixed in and you won’t have to deal with a messy jar anymore. Cool, huh? 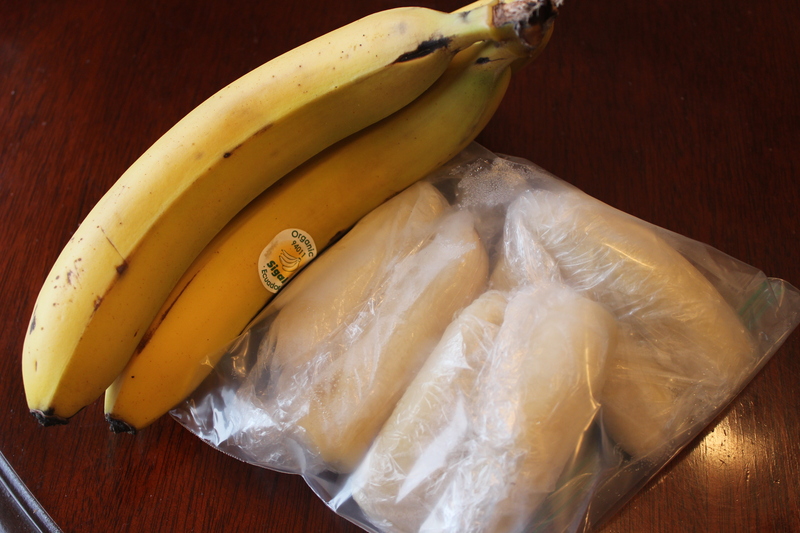 Are your bananas quickly browning and about to go to waste? Never throw away a banana again! When they start to brown and you don’t think you will get around to eating them before they do, peel them, cut them up into chunks or discs and freeze them! We always keep a bag of frozen bananas in our freezer and put half of one in our smoothies each morning (instant creaminess!) AND use them to make delicious, dairy-free “ice cream” (recipe to come!). We use nuts or seeds of some kind just about every day either in smoothies, salads, snacks or other recipes like these. Because they contain delicate oils that will go rancid (spoil) when exposed to heat, it’s important to keep them cool. We go through them pretty quickly, so we store them in the fridge, but if you buy them in bulk or don’t use them often, store them in your freezer until ready to use. They won’t “freeze” because they have very little water content. We store them in glass containers that we buy really cheaply at Home Goods. Tired of greens going limp? Cut off the ends and put them in a cup of cold water in the fridge! We eat a lot of leafy green vegetables each week. Doing this has been one of the keys to losing weight and keeping it off. Leafy greens are awesome because they are potent cancer-fighters, reduce inflammation (the root of most disease) and detoxify the body. They are also very cleansing and energizing. We want them to last as long as possible! 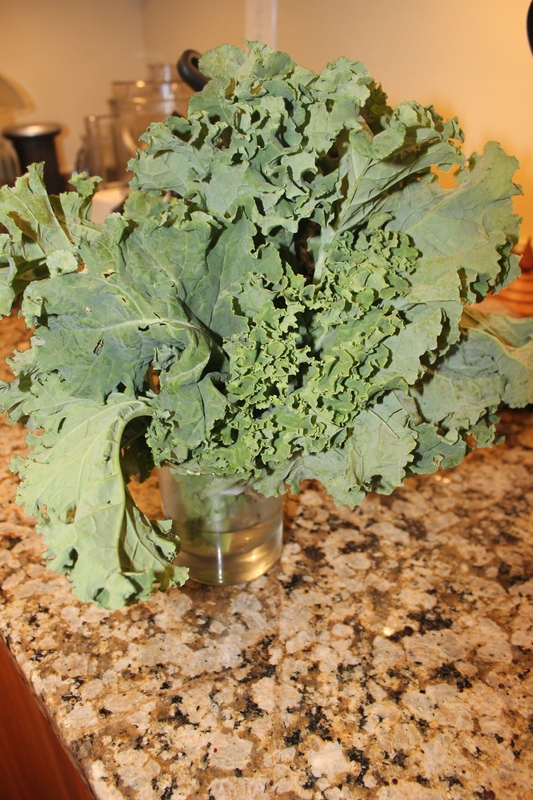 The other day, I had some kale in the fridge and hadn’t used it quickly enough, so the leaves had started to wilt and go limp. I cut off about a half inch of the bottom of the stem, put them in a cup of water in the fridge, and in a matter of hours, the greens came back to life! The stem pulls up water into the leaves to rehydrate them. I’ve done this with other veggies like Swiss chard and celery (cut it into sticks and put it in a container of water). Do you have any favorite money and food-saving tips or tricks? Feel free to share them below!